Are you looking for a sweet and cuddly teddy bear to snuggle with on those relaxing movie nights on the couch? Then James is your guy! Although he’s not a real teddy bear, James is an expert when it comes to cuddling and absolutely adores everyone he meets! 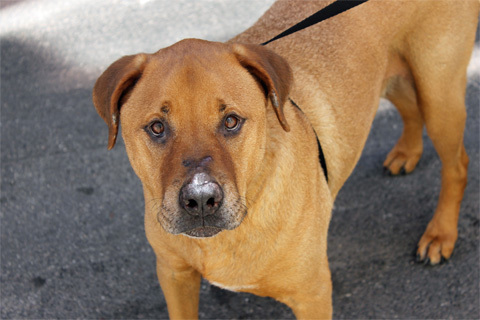 He is just as sweet, if not sweeter, than a fuzzy teddy bear and would love to find a family who can be on the receiving end of all of his sweetness and slobbery doggy kisses. This handsome boy came to us as a young pup and was adopted in no time. He was sadly returned to us after 8 years because he was not a good match with the young children in the home. 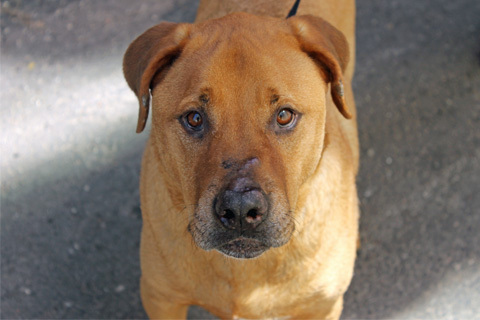 Although it took James a bit of time to adjust, he is as loving as can be and a gentle soul who just wants to find someone who will cherish him forever! This big boy is fully housebroken, walks like a dream on a leash, and absolutely adores riding in the car next to his humans! Even better than that, James is super laid-back and would be completely content with hanging out and lounging around all day. This boy does love his walks though and enjoys taking in all the sights and sounds of the world around him! 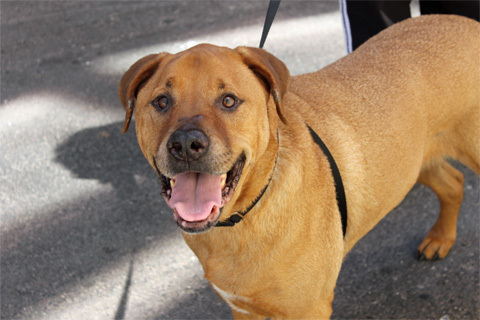 James is searching for a home with an experienced owner and without young children. 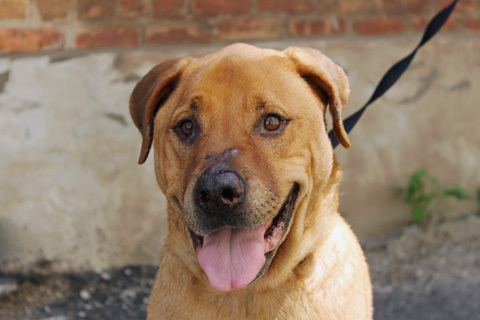 He loves his humans to the moon and back and wants to find someone who will love him just the same! Since he is a people-oriented guy, James would do best as the only pet in the home. 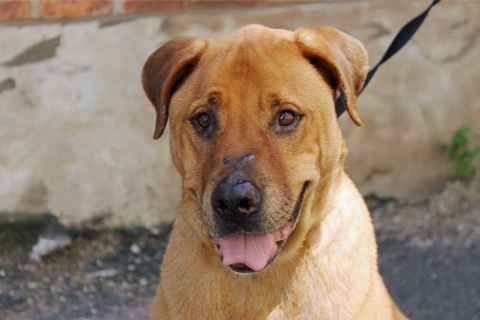 We’ve learned that James is a huge foodie and will gobble up any treat you’ll give him! Some of his favorite things to munch on are carrots, apples, chips, and kibble! He also loves to chew on rawhides and they surely keep him busy for hours and hours! If that’s not enough, James is also super affectionate. He adores back scratches just above his tail and enjoys receiving belly rubs too! He will certainly repay your efforts with lots of slobbery kisses and tail wags! This sweetheart is ready to spread the love and show you how just how amazing he is! 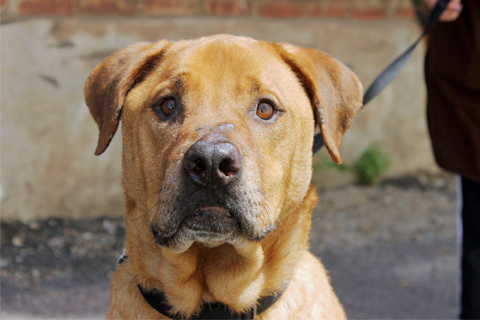 Email us at adoptions@pawschicago.org to find out how you can meet this cuddly teddy bear! Going for a car ride? Take me along! Did someone say 'treat'? I'll take them all. I'm a star pupil at obedience training. I prefer to be the only pet in the home.